Heated Leather Seats, Nav System, Moonroof, Panoramic Roof, All Wheel Drive, Turbo Charged Engine, TRANSMISSION, 8-SPEED AUTOMATIC, ENGINE, 2.0L TURBO, I4, DI, DOHC, VVT. CADILLAC USER EXPERIENCE WITH EMBEDDE. WHEELS, 18" X 8.5" (45.7 CM X 21.6 CM) 10-SPOKE POLISHED ALLOY, CADILLAC USER EXPERIENCE WITH EMBEDDED NAVIGATION AM/FM stereo with connected navigation providing real-time traffic, 8" diagonal color information display, two USB ports, personalized profiles for each driver's settings, Natural Voice Recognition, Phone Integration for Apple CarPlay and Android Auto capability for compatible phone, Connected Apps and Teen Driver (STD), 8-SPEED AUTOMATIC (STD), VVT with Automatic Stop/Start (268 hp [200 kW] @ 5600 rpm, 295 lb-ft of torque [400 N-m] @ 3000-4500 rpm) (STD). Sunroof, Navigation, Heated Leather Seats, DVD Entertainment System, 4x4, Power Liftgate, CADILLAC USER EXPERIENCE WITH EMBEDDE. Captains Chairs, WHEELS, 22" X 9" (55.9 CM X 22.9 CM) SPLIT 6-SPOKE ALLOY WITH CHROME FINISH. ENTERTAINMENT SYSTEM, REAR SEAT includes 9" screen DVD player (Blu-Ray capable) with remote control, two 2-channel wireless digital headphones, USBs (2.1 amp) and HDMI/HML inputs on rear of center console, sound compression, CD-R and CR-R/W capability, LED backlighting display, MP3 capable. Streaming available through HDMI and Digital Living Network Alliance (DLNA), CADILLAC USER EXPERIENCE WITH EMBEDDED NAVIGATION AM/FM stereo with 8" diagonal color information display featuring touch response, haptic feedback, gesture recognition, Natural Voice Recognition, Phone Integration for Apple CarPlay and Android Auto capability for compatible phone, Connected Apps and Teen Driver. Five USB ports, including one in the articulating storage door/bin and auxiliary audio port (STD), ENGINE, 6.2L V8 WITH ACTIVE FUEL MANAGEMENT Spark Ignition Direct Injection (SIDI) and Variable Valve Timing (VVT), includes aluminum block construction (420 hp [313.2 kW] @ 5600 rpm, 460 lb-ft of torque [621 N-m] @ 4100 rpm) (STD), TRANSMISSION, 10-SPEED AUTOMATIC electronically controlled with overdrive, tow/haul mode and tap up/tap down shifting (STD). Navigation, Heated Leather Seats, Moonroof, DVD Entertainment System, Power Liftgate, TRANSMISSION, 10-SPEED AUTOMATIC, ENGINE, 6.2L V8 WITH ACTIVE FUEL MANA. CADILLAC USER EXPERIENCE WITH EMBEDDE. 4x4, Captains Chairs. WHEELS, 22" X 9" (55.9 CM X 22.9 CM) SPLIT 6-SPOKE ALLOY WITH CHROME FINISH, ENTERTAINMENT SYSTEM, REAR SEAT includes 9" screen DVD player (Blu-Ray capable) with remote control, two 2-channel wireless digital headphones, USBs (2.1 amp) and HDMI/HML inputs on rear of center console, sound compression, CD-R and CR-R/W capability, LED backlighting display, MP3 capable. Streaming available through HDMI and Digital Living Network Alliance (DLNA), CADILLAC USER EXPERIENCE WITH EMBEDDED NAVIGATION AM/FM stereo with 8" diagonal color information display featuring touch response, haptic feedback, gesture recognition, Natural Voice Recognition, Phone Integration for Apple CarPlay and Android Auto capability for compatible phone, Connected Apps and Teen Driver. Five USB ports, including one in the articulating storage door/bin and auxiliary audio port (STD), 6.2L V8 WITH ACTIVE FUEL MANAGEMENT Spark Ignition Direct Injection (SIDI) and Variable Valve Timing (VVT), includes aluminum block construction (420 hp [313.2 kW] @ 5600 rpm, 460 lb-ft of torque [621 N-m] @ 4100 rpm) (STD), 10-SPEED AUTOMATIC electronically controlled with overdrive, tow/haul mode and tap up/tap down shifting (STD). NAV, Heated Leather Seats, Sunroof, DVD, TRANSMISSION, 10-SPEED AUTOMATIC, WHEELS, 22" X 9" (55.9 CM X 22.9 CM). ENGINE, 6.2L V8 WITH ACTIVE FUEL MANA. ASSIST STEPS, POWER-RETRACTABLE, RUNN. Tow Hitch, 4x4, Quad Seats. 22" X 9" (55.9 CM X 22.9 CM) SPLIT 6-SPOKE ALLOY WITH CHROME FINISH, ASSIST STEPS, RUNNING SIDE BOARD with LED lighting, ENGINE, 6.2L V8 WITH ACTIVE FUEL MANAGEMENT Spark Ignition Direct Injection (SIDI) and Variable Valve Timing (VVT), includes aluminum block construction (420 hp [313.2 kW] @ 5600 rpm, 460 lb-ft of torque [621 N-m] @ 4100 rpm) (STD), 10-SPEED AUTOMATIC electronically controlled with overdrive, tow/haul mode and tap up/tap down shifting (STD), CADILLAC USER EXPERIENCE WITH EMBEDDED NAVIGATION AM/FM stereo with 8" diagonal color information display featuring touch response, haptic feedback, gesture recognition, Natural Voice Recognition, Phone Integration for Apple CarPlay and Android Auto capability for compatible phone, Connected Apps and Teen Driver. Five USB ports, including one in the articulating storage door/bin and auxiliary audio port (STD). Satellite Radio, iPod/MP3 Input, Onboard Communications System, COLD WEATHER PACKAGE, TRANSMISSION, 9-SPEED AUTOMATIC, ENGINE, 2.0L TURBO, 4-CYLINDER, SIDI, Aluminum Wheels, Power Liftgate. FUEL EFFICIENT 30 MPG Hwy/24 MPG City! COLD WEATHER PACKAGE includes (KA1) heated driver and front passenger seats, (KA6) heated rear outboard seating position seats and (KI3) automatic heated steering wheel, SIDI (237 hp [177 kW] @ 5000 rpm, 258 lb-ft of torque [350 N-m] @ 1500-4000 rpm) (STD), 9-SPEED AUTOMATIC electronically-controlled (STD). Heated Seats, Nav System, Moonroof, All Wheel Drive, Power Liftgate, Rear Air, Panoramic Roof, TRANSMISSION, 8-SPEED AUTOMATIC, TRAILERING PACKAGE, INCLUDES HITCH, H. Aluminum Wheels, Hitch. EPA 25 MPG Hwy/18 MPG City! HITCH COVER AND WIRING HARNESS, CADILLAC USER EXPERIENCE WITH EMBEDDED NAVIGATION, AM/FM STEREO with 8" diagonal color information display, four USB ports, two auxiliary power outlets, auxiliary input jack, Natural Voice Recognition, Phone Integration for Apple CarPlay and Android Auto capability for compatible phone, Connected Apps and Teen Driver (STD), 8-SPEED AUTOMATIC (STD), ENGINE, 3.6L V6, DI, VVT, WITH AUTOMATIC STOP/START (310 hp [231 kW] @ 6600 rpm, 271 lb-ft of torque [366 N-m] @ 5000 rpm) (STD). Edmunds.com's review says "With a striking interior and exterior design, the 2019 Cadillac XT5 stands out from its more conservatively styled rivals.". 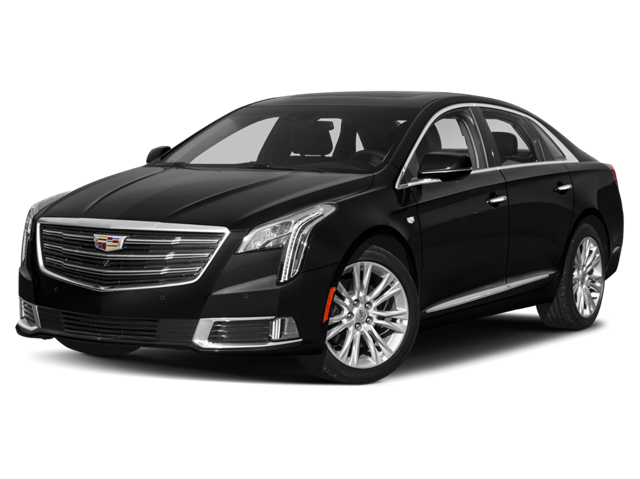 Moonroof, Nav System, Heated Seats, Rear Air, Heated Rear Seat, TRANSMISSION, 8-SPEED AUTOMATIC, CADILLAC USER EXPERIENCE WITH EMBEDDE. ENGINE, 3.6L V6, DI, VVT, WITH AUTOMA. Panoramic Roof. EPA 26 MPG Hwy/19 MPG City! WHEELS, 20" X 8" (50.8 CM X 20.3 CM) 12-SPOKE FULLY POLISHED, AM/FM STEREO with 8" diagonal color information display, four USB ports, two auxiliary power outlets, auxiliary input jack, Natural Voice Recognition, Phone Integration for Apple CarPlay and Android Auto capability for compatible phone, Connected Apps and Teen Driver (STD), 8-SPEED AUTOMATIC (STD), ENGINE, WITH AUTOMATIC STOP/START (310 hp [231 kW] @ 6600 rpm, 271 lb-ft of torque [366 N-m] @ 5000 rpm) (STD). Edmunds.com explains "With a striking interior and exterior design, the 2019 Cadillac XT5 stands out from its more conservatively styled rivals.". Heated Seats, Sunroof, Navigation, Power Liftgate, Back-Up Camera, Panoramic Roof, ENGINE, 3.6L V6, DI, VVT, WITH AUTOMA. CLIMATE CONTROL, TRI-ZONE AUTOMATIC, TRANSMISSION, 8-SPEED AUTOMATIC. FUEL EFFICIENT 26 MPG Hwy/19 MPG City! CADILLAC USER EXPERIENCE WITH EMBEDDED NAVIGATION, AM/FM STEREO with 8" diagonal color information display, four USB ports, two auxiliary power outlets, auxiliary input jack, Natural Voice Recognition, Phone Integration for Apple CarPlay and Android Auto capability for compatible phone, Connected Apps and Teen Driver, CLIMATE CONTROL, TRI-ZONE AUTOMATIC with individual climate settings for driver, right-front passenger and rear passengers (includes rear air vents) Includes (KA6) heated rear seats. ), AUDIO SYSTEM FEATURE, BOSE STUDIO SURROUND SOUND 14-SPEAKER SYSTEM with surround amplifier, 8-SPEED AUTOMATIC (STD), WITH AUTOMATIC STOP/START (310 hp [231 kW] @ 6600 rpm, 271 lb-ft of torque [366 N-m] @ 5000 rpm) (STD). "With a striking interior and exterior design, the 2019 Cadillac XT5 stands out from its more conservatively styled rivals." -Edmunds.com. Satellite Radio, iPod/MP3 Input, Alloy Wheels, ENGINE, 3.6L V6, DI, VVT, WITH AUTOMA. TRANSMISSION, 8-SPEED AUTOMATIC, Premium Sound System, Back-Up Camera, Power Liftgate. EPA 26 MPG Hwy/19 MPG City! Heated Seats, Nav System, Moonroof, Power Liftgate, Back-Up Camera, Panoramic Roof, ENGINE, 3.6L V6, DI, VVT, WITH AUTOMA. CLIMATE CONTROL, TRI-ZONE AUTOMATIC, TRANSMISSION, 8-SPEED AUTOMATIC. FUEL EFFICIENT 26 MPG Hwy/19 MPG City! NAV, Sunroof, Heated Seats, All Wheel Drive, Back-Up Camera, Panoramic Roof, ENGINE, 3.6L V6, DI, VVT, WITH AUTOMA. CLIMATE CONTROL, TRI-ZONE AUTOMATIC, CADILLAC USER EXPERIENCE WITH EMBEDDE. EPA 25 MPG Hwy/18 MPG City! CADILLAC USER EXPERIENCE WITH EMBEDDED NAVIGATION, AM/FM STEREO with 8" diagonal color information display, four USB ports, two auxiliary power outlets, auxiliary input jack, Natural Voice Recognition, Phone Integration for Apple CarPlay and Android Auto capability for compatible phone, Connected Apps and Teen Driver, CLIMATE CONTROL, TRI-ZONE AUTOMATIC with individual climate settings for driver, right-front passenger and rear passengers (includes rear air vents) Includes (KA6) heated rear seats. ), AUDIO SYSTEM FEATURE, BOSE STUDIO SURROUND SOUND 14-SPEAKER SYSTEM with surround amplifier, TRANSMISSION, 8-SPEED AUTOMATIC (STD), WITH AUTOMATIC STOP/START (310 hp [231 kW] @ 6600 rpm, 271 lb-ft of torque [366 N-m] @ 5000 rpm) (STD). Sunroof, NAV, Heated Seats, Rear Air, Back-Up Camera, TRANSMISSION, 8-SPEED AUTOMATIC, CADILLAC USER EXPERIENCE WITH EMBEDDE. ENGINE, 3.6L V6, DI, VVT, WITH AUTOMA. Panoramic Roof, Alloy Wheels. EPA 26 MPG Hwy/19 MPG City! AM/FM STEREO with 8" diagonal color information display, four USB ports, two auxiliary power outlets, auxiliary input jack, Natural Voice Recognition, Phone Integration for Apple CarPlay and Android Auto capability for compatible phone, Connected Apps and Teen Driver, AUDIO SYSTEM FEATURE, BOSE STUDIO SURROUND SOUND 14-SPEAKER SYSTEM with surround amplifier, 8-SPEED AUTOMATIC (STD), ENGINE, WITH AUTOMATIC STOP/START (310 hp [231 kW] @ 6600 rpm, 271 lb-ft of torque [366 N-m] @ 5000 rpm) (STD). Sunroof, Heated/Cooled Leather Seats, NAV, Heated Rear Seat, Satellite Radio, ENGINE, 3.6L SIDI DOHC V6 VVT, CADILLAC USER EXPERIENCE WITH EMBEDDE. SUNROOF, ULTRAVIEW, POWER, Alloy Wheels. FUEL EFFICIENT 28 MPG Hwy/19 MPG City! DRIVER AWARENESS PACKAGE includes Safety Alert Seat, (UKC) Lane Change Alert with Side Blind Zone Alert, (UFG) Rear Cross-Traffic Alert, (UE4) Following Distance Indicator, (UEU) Forward Collision Alert, (UVH) Surround Vision and (UHY) Low Speed Forward Automatic Braking, SUNROOF, 3.6L SIDI DOHC V6 VVT (304 hp [227 kW] @ 6800 rpm, 264 lb-ft of torque [358 N-m] @ 5300 rpm) (STD), TRANSMISSION, 6-SPEED AUTOMATIC electronically controlled (STD), CADILLAC USER EXPERIENCE WITH EMBEDDED NAVIGATION AM/FM stereo with connected navigation providing real-time traffic, 8" diagonal color information display, one type A and one type C full function USBs, personalized profiles for each driver's settings, Natural Voice Recognition, Phone Integration for Apple CarPlay and Android Auto capability for compatible phone, Connected Apps and Teen Driver (Includes (UQA) Bose premium 8-speaker system.) (STD). Heated/Cooled Leather Seats, Navigation, Satellite Radio, CADILLAC USER EXPERIENCE WITH EMBEDDE. Heated Rear Seat, WHEELS, 19" (48.3 CM) SPLIT 7-SPOKE A. TRANSMISSION, 6-SPEED AUTOMATIC. FUEL EFFICIENT 28 MPG Hwy/19 MPG City! DRIVER AWARENESS PACKAGE includes Safety Alert Seat, (UKC) Lane Change Alert with Side Blind Zone Alert, (UFG) Rear Cross-Traffic Alert, (UE4) Following Distance Indicator, (UEU) Forward Collision Alert, (UVH) Surround Vision and (UHY) Low Speed Forward Automatic Braking, 19" (48.3 CM) SPLIT 7-SPOKE ALLOY WITH POLISHED FINISH, CADILLAC USER EXPERIENCE WITH EMBEDDED NAVIGATION AM/FM stereo with connected navigation providing real-time traffic, 8" diagonal color information display, one type A and one type C full function USBs, personalized profiles for each driver's settings, Natural Voice Recognition, Phone Integration for Apple CarPlay and Android Auto capability for compatible phone, Connected Apps and Teen Driver (Includes (UQA) Bose premium 8-speaker system.) (STD), ENGINE, 3.6L SIDI DOHC V6 VVT (304 hp [227 kW] @ 6800 rpm, 264 lb-ft of torque [358 N-m] @ 5300 rpm) (STD), TRANSMISSION, 6-SPEED AUTOMATIC electronically controlled (STD). Sunroof, Heated/Cooled Leather Seats, Navigation, Heated Rear Seat, Satellite Radio, ENGINE, 3.6L SIDI DOHC V6 VVT, CADILLAC USER EXPERIENCE WITH EMBEDDE. SUNROOF, ULTRAVIEW, POWER, Alloy Wheels. FUEL EFFICIENT 28 MPG Hwy/19 MPG City! Heated Seats, Back-Up Camera, Satellite Radio, Onboard Communications System, TRANSMISSION, 8-SPEED AUTOMATIC, AUDIO SYSTEM, CHEVROLET INFOTAINMENT. ENGINE, 3.6L DI DOHC V6 VVT, 4x4, Alloy Wheels. EPA 24 MPG Hwy/17 MPG City! TRAILERING PACKAGE, HEAVY-DUTY includes trailer hitch and 7-pin connector, CHEVROLET INFOTAINMENT 3 PLUS SYSTEM 8" diagonal HD color touchscreen, AM/FM stereo, Bluetooth audio streaming for 2 active devices, Apple CarPlay and Android Auto capable, enhanced voice recognition, in-vehicle apps, cloud connected personalization for select infotainment and vehicle settings. Subscription required for enhanced and connected services after trial period (STD), 8-SPEED AUTOMATIC (STD), ENGINE, 3.6L DI DOHC V6 VVT (308 hp [230.0 kW] @ 6800 rpm, 275 lb-ft of torque [373 N-m] @ 4000 rpm) (STD). newCarTestDrive.com's review says "Every Colorado feels well-assembled, using good materials. Whatever the trim level, body configuration, and powertrain, Chevrolet's Colorado ranks with the most competent pickups on the market.". FUEL EFFICIENT 26 MPG Hwy/20 MPG City! Back-Up Camera, AUDIO SYSTEM, CHEVROLET INFOTAINMENT. ENGINE, 2.5L I4, DI, DOHC, VVT, TRANSMISSION, 6-SPEED AUTOMATIC, HMD. WORK TRUCK APPEARANCE PACKAGE, WT CONVENIENCE PACKAGE. WT CONVENIENCE PACKAGE includes (ATG) Remote Keyless Entry, (UTJ) theft-deterrent system, (K34) electronic cruise control and (PPA) EZ-Lift tailgate, WORK TRUCK APPEARANCE PACKAGE includes (RS1) 16" x 7" (40.6 cm x 17.8 cm) Ultra Silver Metallic cast aluminum wheels, (DL6) outside power-adjustable, body-color, remote, manual-folding mirrors, (9B7) spotter mirror, (VT5) body-color rear bumper, (BW4) chrome beltline moldings and (D75) body-color door handles, CHEVROLET INFOTAINMENT 3 SYSTEM 7" diagonal color touchscreen, AM/FM stereo. Additional features for compatible phones include: Bluetooth audio streaming for 2 active devices, voice command pass-through to phone, Apple CarPlay and Android Auto capable (STD), ENGINE, VVT (200 hp [149.0 kW] @ 6300 rpm, 191 lb-ft of torque [259 N-m] @ 4400 rpm) (STD), HMD, 6L50. Heated Seats, Satellite Radio, Onboard Communications System, Back-Up Camera, TRANSMISSION, 8-SPEED AUTOMATIC, AUDIO SYSTEM, CHEVROLET INFOTAINMENT. ENGINE, 3.6L DI DOHC V6 VVT, 4x4, Tow Hitch. FUEL EFFICIENT 24 MPG Hwy/17 MPG City! ENGINE, 3.6L DI DOHC V6 VVT (308 hp [230.0 kW] @ 6800 rpm, 275 lb-ft of torque [373 N-m] @ 4000 rpm), TRAILERING PACKAGE, HEAVY-DUTY includes trailer hitch and 7-pin connector, CHEVROLET INFOTAINMENT 3 PLUS SYSTEM 8" diagonal HD color touchscreen, AM/FM stereo, Bluetooth audio streaming for 2 active devices, Apple CarPlay and Android Auto capable, enhanced voice recognition, in-vehicle apps, cloud connected personalization for select infotainment and vehicle settings. Subscription required for enhanced and connected services after trial period (STD). newCarTestDrive.com explains "Every Colorado feels well-assembled, using good materials. Whatever the trim level, body configuration, and powertrain, Chevrolet's Colorado ranks with the most competent pickups on the market.". Tow Hitch, Back-Up Camera, TRAILERING PACKAGE, HEAVY-DUTY, ENGINE, 3.6L DI DOHC V6 VVT, DIFFERENTIAL, AUTOMATIC LOCKING REAR, AUDIO SYSTEM, CHEVROLET INFOTAINMENT. WORK TRUCK APPEARANCE PACKAGE. FUEL EFFICIENT 25 MPG Hwy/18 MPG City! 3.6L DI DOHC V6 VVT (308 hp [230.0 kW] @ 6800 rpm, 275 lb-ft of torque [373 N-m] @ 4000 rpm), WT CONVENIENCE PACKAGE includes (ATG) Remote Keyless Entry, (UTJ) theft-deterrent system, (K34) electronic cruise control and (PPA) EZ-Lift tailgate, WORK TRUCK APPEARANCE PACKAGE includes (RS1) 16" x 7" (40.6 cm x 17.8 cm) Ultra Silver Metallic cast aluminum wheels, (DL6) outside power-adjustable, body-color, remote, manual-folding mirrors, (9B7) spotter mirror, (VT5) body-color rear bumper, (BW4) chrome beltline moldings and (D75) body-color door handles, HEAVY-DUTY includes trailer hitch and 7-pin connector, TRANSMISSION, 8-SPEED AUTOMATIC, CHEVROLET INFOTAINMENT 3 SYSTEM 7" diagonal color touchscreen, AM/FM stereo. Additional features for compatible phones include: Bluetooth audio streaming for 2 active devices, voice command pass-through to phone, Apple CarPlay and Android Auto capable (STD). Satellite Radio, Back-Up Camera, Remote Engine Start, Onboard Communications System, AUDIO SYSTEM, CHEVROLET INFOTAINMENT. ENGINE, 1.4L TURBO DOHC 4-CYLINDER DI. CONVENIENCE PACKAGE. FUEL EFFICIENT 38 MPG Hwy/28 MPG City! CONVENIENCE PACKAGE includes (AVJ) Keyless Open, (BTM) Keyless Start, (KA1) heated driver and front passenger seats, (AH5) driver 8-way power seat adjuster, (DLF) outside heated power-adjustable, manual-folding mirrors and (WPR) Driver Confidence Package, TRANSMISSION, 6-SPEED AUTOMATIC (STD), DRIVER CONFIDENCE PACKAGE includes (UD7) Rear Park Assist, (UKC) Side Blind Zone Alert with Lane Change Alert and (UFG) Rear Cross Traffic Alert, ENGINE, 1.4L TURBO DOHC 4-CYLINDER DI with Continuous Variable Valve Timing (CVVT) (153 hp [114.08 kW] @ 5600 rpm, 177 lb-ft of torque [239 N-m] @ 2000-4000 rpm) (STD), KEYLESS OPEN, FRONT DOORS AND TRUNK, CHEVROLET INFOTAINMENT 3 SYSTEM 7" diagonal color touchscreen, AM/FM stereo. Additional features for compatible phones include: Bluetooth audio streaming for 2 active devices, voice command pass-through to phone, Apple CarPlay and Android Auto capable. (STD). KBB.com's review says "It's quiet and confident. This is true on both the highway and in city and urban settings, where its small size makes it easy to maneuver and park. ".